Our trail-blazing chums in Fylde, Lancashire got the result they fought long and hard for, in the face of stiff resistance from their local council. It’s can be done, and we can do it. FCAG used new powers introduced under the Localism Act to trigger a governance referendum, with more than 5% of voters signing a petition for change in October 2013. 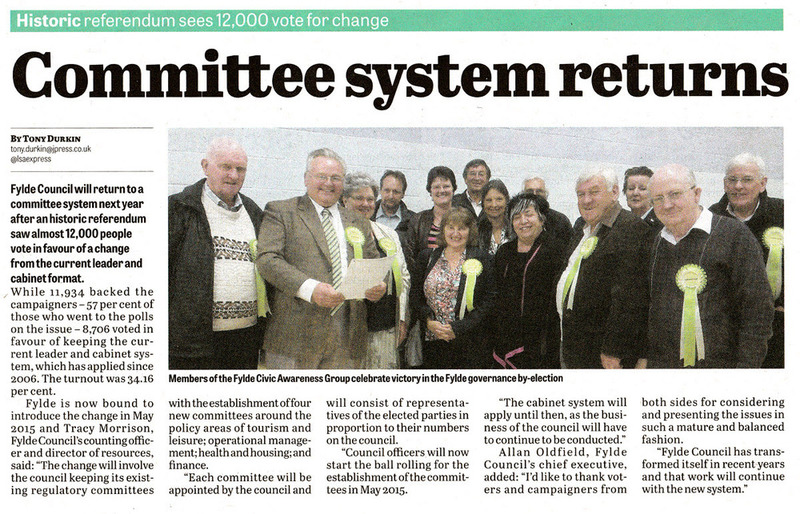 The council must implement the changes by May 2015.